Have you heard of Bulletproof Coffee? It is currently 'all the rage' right now and perhaps rightfully so. 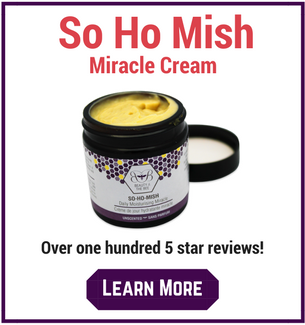 It is a blend of coffee, butter from grass-fed cows and MCT oil. I have tried it and I do enjoy it. I also find that when I drink it my brain works very well, which is what the creator Dave Asprey designed it to do. The problem is, coffee gives me some problems including mildly disturbed sleep, the odd rash and even some heart rate irritability. So I choose not to drink it often. But I do miss a hot beverage in the morning the stimulates my brain and gives me a nice boost of stable energy (with no crash). So, I set out to create my own drink that has similar qualities to Bulletproof coffee...but without the coffee and caffeine. I wanted it to boost energy, increase my brain function and have additional health benefits such as increasing my cancer defenses and immunity. I also wanted to be able to make it in under 5 minutes. I was stuck until I spoke with a good friend of mine who recently returned from a business trip in India and told me about an 'orange coconut milk' drink that he consumed there. He said it had turmeric and coconut milk but that was all he knew. He felt great on it - lots of energy and a clear mind. Hmm...this sounded like an interesting place to start. I knew that coconut oil increases brain function almost instantly and is a wonderful energy source. I also knew that turmeric (which contains curcumin) is used in different 'brain' formulas on the market and is anti-cancer and anti-inflammatory. So I jumped onto the computer and started digging through scientific journals and other research on curcumin and coconut oil. It quickly became obvious to me that these two substances are imperative to optimal health and could be the basis of the drink. Turmeric just might be the most potent healing herb we know of and if you want to avoid 'losing your mind' as you age, coconut oil is a absolute must. Coconut oil is also loaded with medium chain triglycerides and something called lauric acid. So I started messing around in the kitchen. What I came up with is a delicious, creamy drink that has a wonderful light sweetness. While it isn't stimulating like coffee, it is fuels the brain with Medium Chain Triglycerides from the coconut milk and the coconut oil. Further fueling the brain is the fructose in the raw honey. 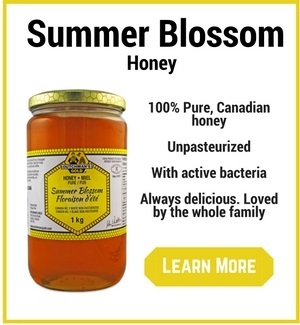 It is easy on the gut and digests well, likely due to the probiotic bacteria in the raw honey. I find it quite filling and often find if I consume it first thing in the morning, it fuels me for hours. This is likely because Coconut Oil doesn't cause an insulin response and is used very easily by the body for energy. So here is what you'll need to make your own. 1 curcumin capsule of at least 250 mg strength with enhanced bioavailability. I use this brand. It is very important to use a product with optimised absorption - curcumin is not well absorbed on its own. 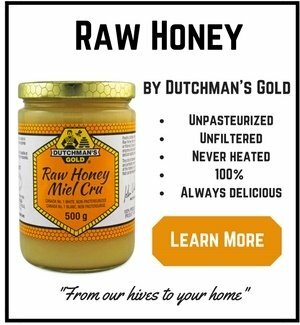 1 teaspoon of raw, unpasteurized honey. If you prefer a slightly sweeter beverage, increase the amount of raw honey to your desired taste. To turn your Curcumin and Honey Super Drink into a healthy breakfast that will sustain you until lunch, add 1 heaping tablespoon of a tasteless, flavorless Collagen Protein during the blending process. Not only will this protein improve your skin, nails and hair and make your joints feel amazing, but it will further help balance your blood sugar and provide energy for the day. Pour one cup of coconut milk and 1/8 cup of filtered water into a pot. Heat, but don't boil, on your stove. Avoid microwaving. Once up to temperature, add one tablespoon of organic coconut oil. Stir the coconut oil in until it has fully melted. Once melted, remove the pot from the stove and pour the liquid into a blender. 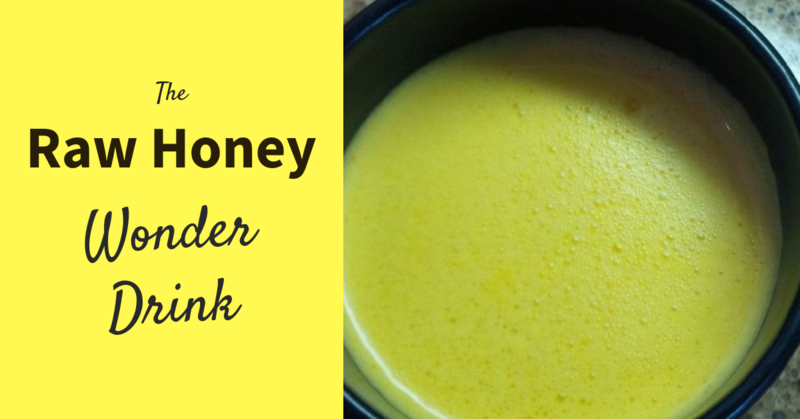 Add 1 teaspoon of raw, unpasteurized honey. 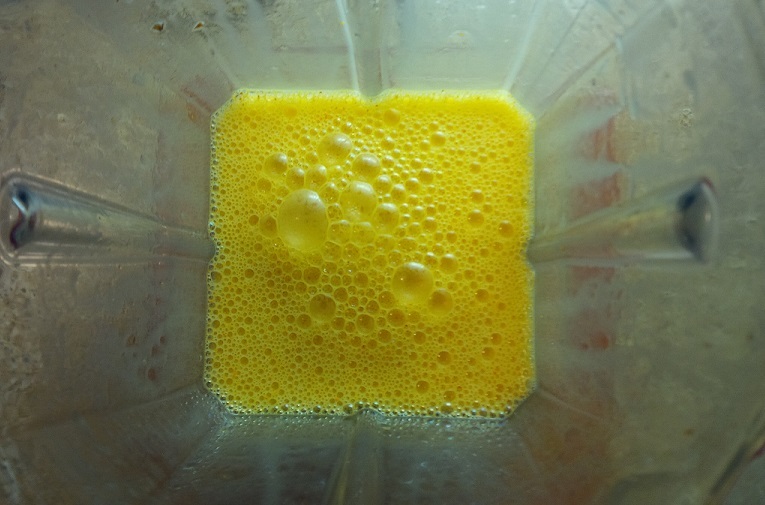 Add 1 capsule of curcumin to the liquid. Twist open the capsule and dump in. Blend for 15 - 30 seconds on low to medium speed.